Due to recent cancellations we have had space open up on some of our Grand Canyon Rafting trips in 2017. Our 3-Day Grand Canyon Ranch and Rafting trips are a great introduction to the Grand Canyon and include a scenic flight, helicopter ride, a night at the Bar 10 Ranch, and two days rafting the mighty Colorado River in the Grand Canyon. Trips are all-inclusive from Las Vegas making logistics easy. 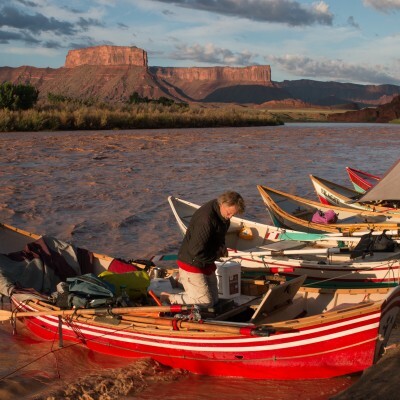 In addition to some space opening up in Grand Canyon, it is looking to be the best year in a decade to raft the Green and Colorado Rivers in Utah. Snowpack is great and water levels should be good throughout the year. For a true wilderness experience try rafting the Tatshenshini River. Our July date is full currently, but there are still spaces open on our August 5-15 trip. Posted February 13, 2017 by Crate Inc.
Who is leading the August Alaska trip? It will probably be John Toner. We are currently working on our schedule for the season and things could change.